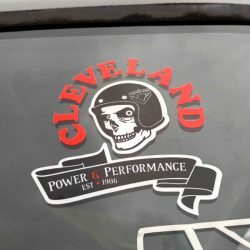 Perfect for your toolbox, truck, ATV, boat, big wheel, or what ever you can slap it on, this Cleveland Power & Performance “Retro” logo is bitchin! 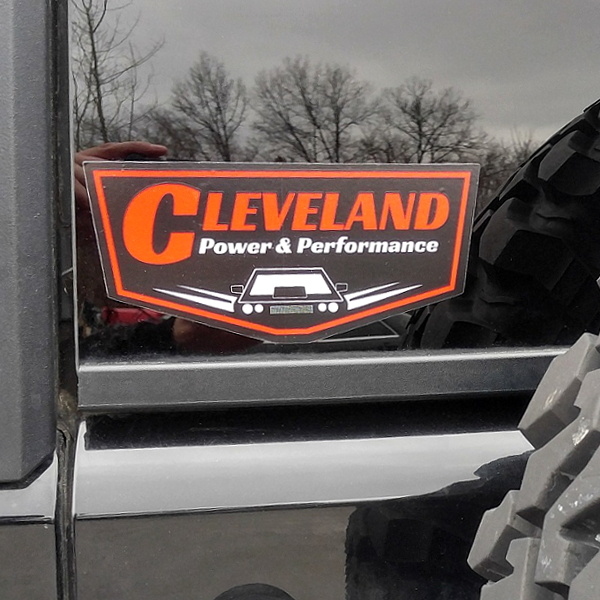 This 3.4 mil thick vinyl decal measures 7″ wide and 3.5″ tall. 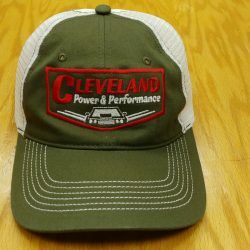 This is durable vinyl ready for indoor or outdoor use. 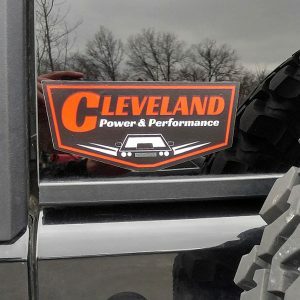 Buy with pride as these decals were printed in the good ole USA! 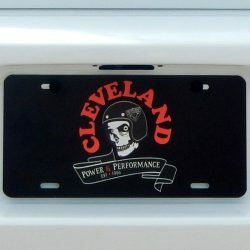 Price includes free USPS shipping on small orders to the lower 48. 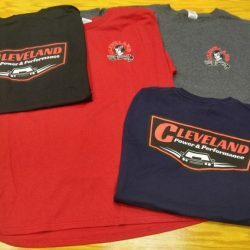 For large orders, international orders, or expedited shipping please contact us at 866-236-5031.